The community's role is crucial. Apache Kafka is the leading distributed messaging system, and Reactive Streams is an emerging standard for asynchronous stream processing. The reactive-kafka project combining the two technologies was started in December 2014 by Krzysiek (Chris) Ciesielski from SoftwareMill. Just recently the Akka team joined forces with the project and the resulting collaboration led to the latest 0.11 release, which comes with some major updates. 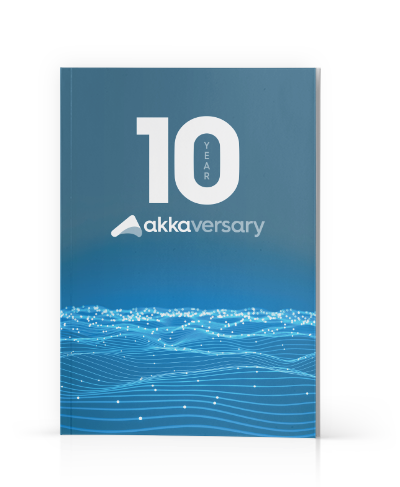 You can read everything about the technical details over on the Akka team blog. I was interested in learning a little bit more about the history and had a chance to interview Chris. Krzysztof is a software engineer, passionate about programming since his early schooldays. Enthusiast of JVM and Scala ecosystems and open source, Scala Times editor, initiator of the reactive-kafka library, and co-leader of the Lublin Software Craftsmen group. Meet up - Come to our Reactive Roundtable sessions to learn, interact and share.